“… While we don’t believe the existence of settlements is an impediment to peace, the construction of new settlements or the expansion of existing settlements beyond their current borders may not be helpful in achieving that goal. 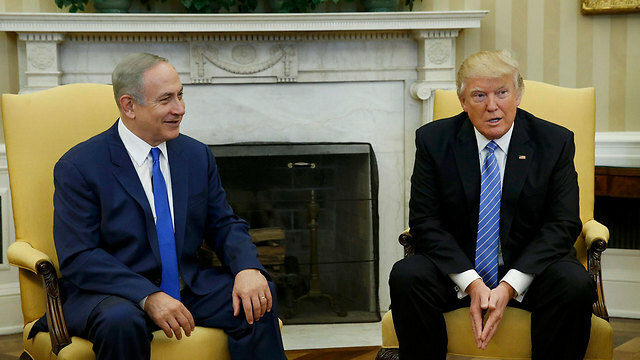 ….The Trump administration has not taken an official position on settlement activity and looks forward to continuing discussions, including with Prime Minister Netanyahu when he visits with President Trump later this month.”—The White House, Office of the Press Secretary. February 2, 2017. After eight long Obama years, it is heartening to hear the White House declare that it does not see existing settlements as an obstacle to peace. This substantial statement acknowledges the often-forgotten fact that the century-old conflict with the Palestinians began well before the 1967 Six-Day War, and the subsequent settlements built on the biblical landscape of Judea and Samaria (aka the territories). The White House’s concern, however, that new settlements or the significant expansion of existing ones may not be beneficial for the prospects of peace also has merit and should be addressed appropriately. The rationale for limiting Israeli construction in the territories is clear: Such new settlement construction or expansion of existing ones may jeopardize the final border to be set between Israel and its Palestinian neighbors. Yet such a suggestion has yet to be demanded of the same neighbors: If Jews are expected to limit construction in the territories, Arabs should be expected to do the same. The first step in resetting negotiations between Israel and the Palestinians is not a freeze on Jewish settlements, but rather a basic and candid declaration by both sides to recognize one another (ie Israel as the Jewish state) and to reinstate “reciprocity” into the process. A term Prime Minister Benjamin Netanyahu rightfully takes pride in introducing to the process during his first term as prime minister now needs to be a cornerstone in catalyzing the stagnant peace process. Before establishing his policy, US President Donald Trump should understand that Israel considers Judea and Samaria part of the historic Jewish homeland just as the Palestinians view the West Bank as part of a future Palestinian state. That premise is problematic since the West Bank and Judea and Samaria are one and the same. Jews have a right to live and have lived in Judea and Samaria for millennia—just look to the Bible, history, and indisputable archaeological evidence. However, those in the Israeli political Right who contest Netanyahu and complain about his lack of lust to annex territories should note that Menachem Begin rightfully annexed the Golan Heights and officially reunited Jerusalem only after completely withdrawing from the Sinai. Today, there is no ripeness for further unilateral withdrawals or substantial annexations. On the Palestinian side, over a million Arabs living in the West Bank regard it as their home. The question is whether Arab rights to build in a village called Ras Atia near the Israeli town of Rosh Ha’ayin outweigh Jewish rights to build in ancient Shilo not far from Nablus. Do Arab building rights in Naalin, near Modiin, outweigh Jewish building rights in Beit El, near Ramallah? Not if reciprocity is to be applied objectively. Most of the disputed land in the “territories” is barren and unpopulated by either Jews or Arabs. The title to that territory needs to be negotiated and finalized. Until then and for the sake of reciprocity, if Jews are asked to stop building homes, Arabs should be required to do the same; limiting Jews while giving Arabs a free hand is not reciprocity—it’s racism.